In 2012, Sibiu, the town where KeepCalling has its Romanian office, welcomed the first edition of a highly anticipated sporting event, that has started to be more and more popular in many cities around the world: a running contest. First, a half marathon, later a marathon, the competition reminded locals of the importance of working out, having fun, but also being charitable, because each contestant’s participation fee was in fact a donation to their favorite charity. Big news this year! The traditional half marathon in Sibiu turned into a fully fledged marathon and KeepCallers trained harder than ever for this edition. They had the opportunity to train with an olympic runner born right here, in Sibiu, Daniela Cirlan. The training sessions took place twice a week for 5 weeks prior to the competition and KeepCallers loved learning tips and tricks from a pro. This initiative was part of a wellness program introduced by KeepCalling for its employees. 23 KC runners gathered for this edition and ran in support of their favorite causes. The most popular ones this year were animal care, medical assistance for premature babies, and environmental issues. The half marathon is becoming more and more of a tradition with KeepCalling since many employees are looking forward to this event every year and start training for it well ahead. The 2016 edition gathered 31 participants from KeepCalling, the highest number yet. They ran 5, 10, and even 21 km supporting the projects of their choice: medical assistance for children and premature babies, a local film festival, an ecological playground, and many others. KeepCalling is getting more athletic by the day. Or more charitable. Or both, since the Sibiu half marathon promotes running for charitable causes. In 2015, 24 KeepCallers said yes to the challenge. The causes KeepCalling employees chose to promote this year ranged from ecological projects, such as tree planting to social projects, raising awareness on sensitive topics such as: children with special needs or abused women. Altogether, KeepCallers ran 148 km, which proves the great things that teamwork may accomplish. The principle also applies to the event itself, as the event raised almost $40,000 for the 22 projects registered. KeepCalling is proud to be, for the third year in a row, part of this great charity effort. For the second year in a row, KeepCalling said yes to the Sibiu half marathon challenge. The event brought together two of the values the company cherishes the most: healthy living and charity. That’s why 21 KeepCalling employees joined forces and signed up for running and supporting different causes. The projects gathering most supporters were: a new, modern incubator for the Emergency Hospital in Sibiu – Romania, better medical equipment for the emergency rescue service, a shelter for abandoned dogs, modern playgrounds, creativity workshops, etc. There were 21 projects submitted this year and more than 1,500 registered runners, supporters, and volunteers. All these figures translate into little steps toward making dreams come true, which is also KeepCalling’s social mission. On May 25, KeepCalling took part in a charity half marathon in Sibiu, Romania. 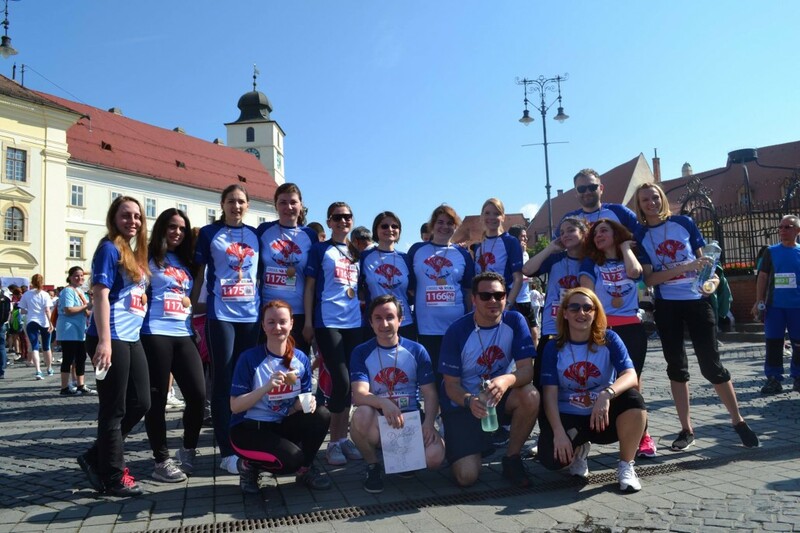 Seven of its employees participated in two sections of the competition (the 5 km race and the 21,09 km half marathon) and supported various social causes: Sibiu Red Cross, YouthBank, Animal Life, and several others. Of the seven KeepCalling employees who were involved in the event, six ran the 5 km race and one ran the entire half marathon. KeepCalling’s employees supported their favourite causes in the program through the participation fees which were donated to these charity projects. In addition to the donated fees, the Half Marathon projects could also be supported through individual donations. Any person could support a certain runner and the cause they ran for with a fixed sum of money. The Sibiu half marathon was a very interesting initiative with a double purpose: outdoor exercise and the active support of the local community. KeepCalling couldn’t miss this great event and was honored to get involved.